Nutria are large semi-aquatic rodents which are native to South America. They look like a beaver or muskrat when swimming and have nicknames like Swamp Beaver, Argentine Beaver and American Beaver. Nutria can grow to over 2 feet long and weigh over 20 lbs. 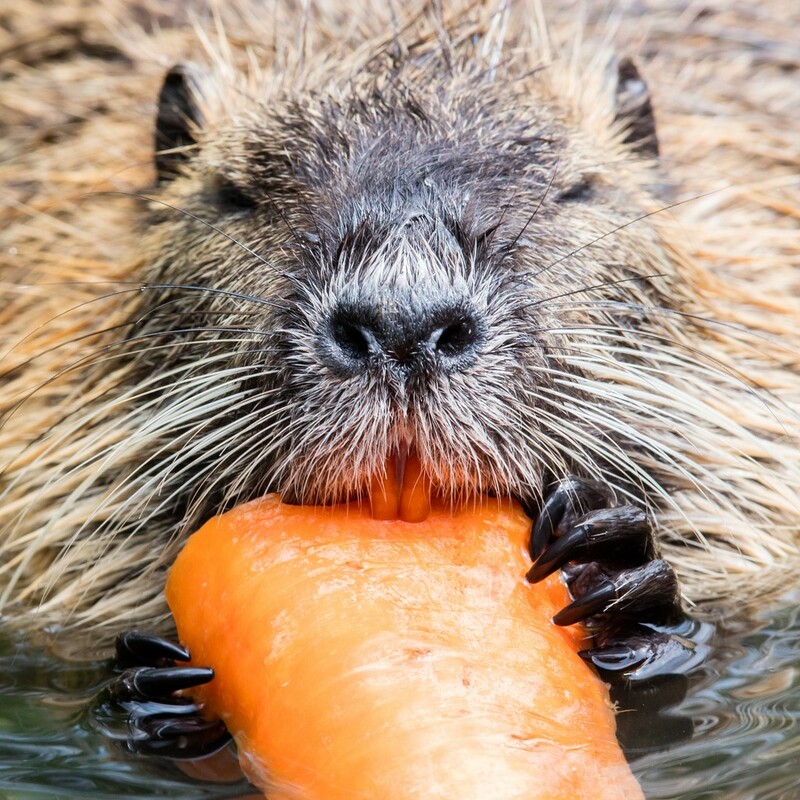 Males are typically larger then females and like beaver, nutria have large incisors which tend to be yellow-orange to orange-red. Nutria are mostly brown in color, have short legs and commonly are mistaken to be a very large rat! Nutria have webbed hind feet which make swimming easier for them. They also have eyes, ears and noses which are set high on their head enabling them to hold these receptors out of the water when moving through water. Their mouth and nostrils have valves which close tight when submerged which helps them stay under water longer and more efficiently. Nutria can live over 20 years but the average wild life span is more like 3-5 years. They have many predators including alligators, eagles, garfish, turtles and other carnivorous animals. Nutria are able to reproduce year round and reach sexual maturity in about 4 months. Litters average 6 young and the babies can eat and feed very quickly. They are able to suckle on land as well as in the water and will be weaned in about 2 months. For this reason they can become a problem quickly once active in any area. 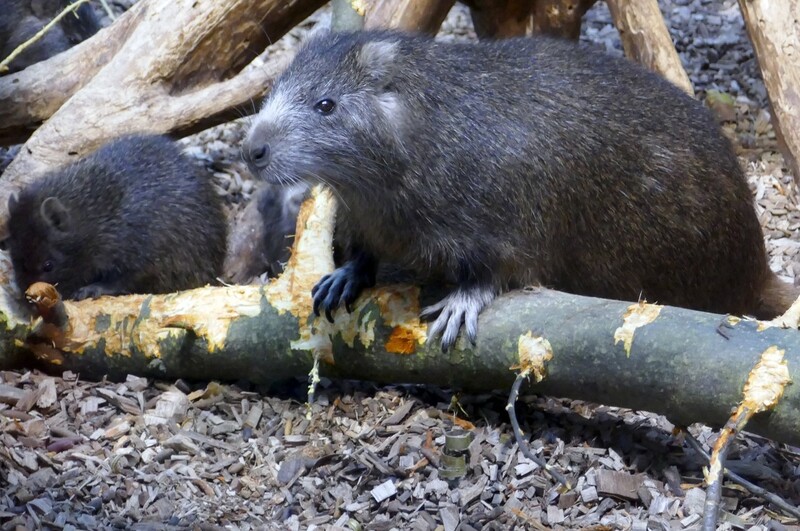 Nutria were originally located in South America living in country sides close to the equator. However, they were introduced to many other continents over the years and have now established themselves in many different countries. These feral populations are largely wild though some farming of nutria still exists. Nutria were originally relocated with the intent of using their fur. Later on, it was thought they could help control undesirable weeds and plant growth around wet lands and other wild areas. Throughout the 1940’s and 1950’s, nutria were trans-located to many states in America. In the end, it was learned that the relocation of nutria created a lot more problems then benefits. Currently found in states like Oregon, Washington, Texas, Louisiana, Florida and Georgia, their range now includes many inland staes like Oklahoma and several states along the great lake region. 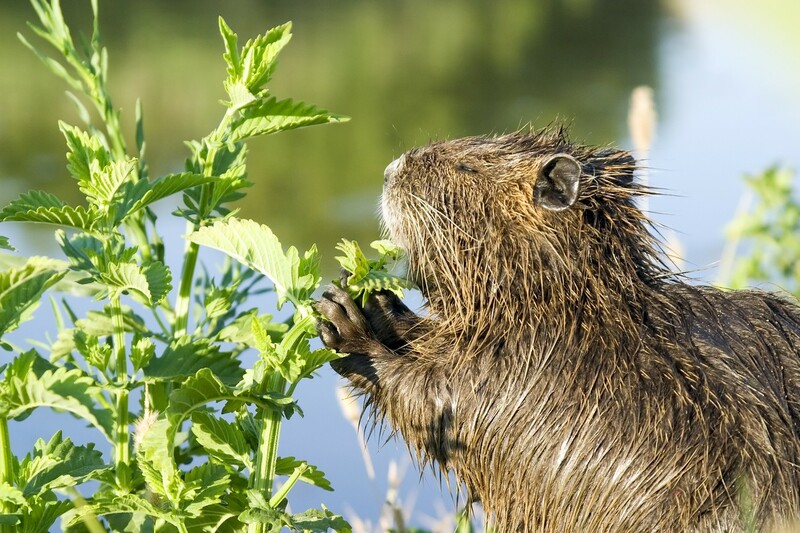 Currently established in over 20 states, nutria are here to stay. At this point in time, nutria are mostly viewed as an undesirable pest. They eat a lot of just about anything and have become a problem for many reasons. They love sugar cane, rice, corn, milo, alfalfa, wheat, barley, oats, peanuts and most any vegetable. Since they are largely nocturnal, nutria can easily be mistaken for wild pig, raccoon or some other animal. Weekend gardeners and farmers alike are all targets of their veracious appetites. Nutria need to eat about 25% of their bodyweight daily. This is more then most any other animal its’ size and such a daily intake can put a stress on local plant life. When the low wetland vegetation is not able to support local herds, they will regularly forage to farms and urban areas searching for the most accessible meal available. Nutria also cause a lot of damage due to their burrowing and digging. They commonly undermine levees, water pipes and other water management construction leading to floods and excessive water flow. Since they love to swim and like to have direct access to water, they try to reside around any type of drainage ditch, water holding pond, retention lake or other type of water impoundment. They will readily dig and burrow nest dens and living quarters which serve to disrupt and cause major problems with either water flow and/or storage. Nutria also seem to like docks and wharves which utilize styrofoam for keeping them afloat. Like muskrat and beaver, nutria will burrow through this styrofoam causing it to sink and float unevenly. This damage will lead to constant maintenance and reconstruction of destroyed styrofoam. Furthermore, they will burrow alongside and adjacent to any building so marinas are particularly attractive to most nutria. Such environments provide both water harborage and land dwellings. Other damage done by nutria include tree girdling, structure girdling when the structure is made of wood, sod and other turf destruction when dug up along with small plants being trampled or grazed to the ground. Nutria will readily girdle most any fruit, nut or shade tree. This behavior will lead to tree loss. Homes, sheds and other structures with raw wood like that commonly used on decks will attract nutria as well. They will girdle and gnaw any wood can reach. Sod which is fertile with either healthy roots or grub populations will readily attract nutria. They will dig up and overturn the grass and other landscaping in an effort to gain access to the food below. Once finished here, they will move to the flower beds or small garden if available. For this reason they have become a big nuisance in many subdivisions and other residential neighborhoods. 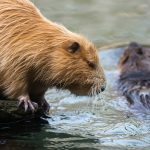 Since nutria are common where muskrat and beaver reside, they are often times overlooked as the animal responsible for local activity or damage. There are key identifying features of nutria damage which can help tell them apart from muskrat, beaver or something else. First, their burrows, crawl outs, drag lines and trails will show foot prints that have 4 webbed toes on the hind foot. It is also quite common to see a drag mark left by its tail since theirs is long and thin. Nutria have large droppings which are cylindrical in shape and measure about 2 inches long and 1/2 inch wide. These will almost always be black or dark green. These droppings have parallel grooves along their entire length and are quite consistent from animal to animal. Thirdly, trees which have been girdled by nutria will not bare any tooth marks yet the bark will be peeled away almost as if a giant potato peeler was used. Since they eat entire plants, no tell tale evidence of their targeted food is generally left behind as a clue. However, they will leave footprints when damage is done on land. Conversely, damage done to water grown crops are less likely to have this tell tale evidence left behind. These areas will require close observation to tell just what animal is responsible. Like muskrat, nutria will eat most of the plant so inspecting the local shoreline will probably help identify just which animal is actively grazing. Since muskrat, rats and nutria all require different methods of control, it is imperative that the right animal is being targeted. And don’t expect to see all possible culprits during the day. Muskrat might be active during early morning or late evening hours while the sun is still out but nutria and rats are mostly nocturnal. Of course, either will become active during the day if local food supplies are low and daytime foraging is needed to get their daily intake of food. But don’t wait around for this to happen. In most cases they will be active when people are not around. 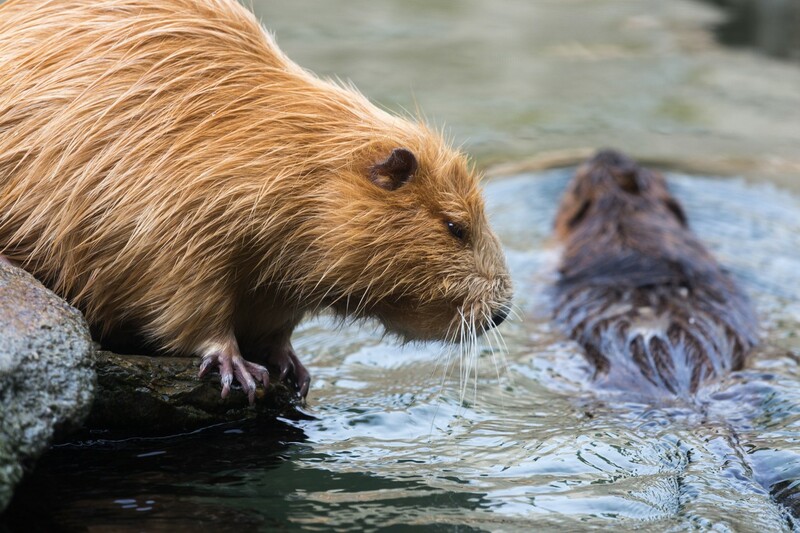 Once you know you have nutria active on any property, it is best to take a pro-active stance and try to minimize the herd as much as possible. Due to their ability to reproduce throughout the year and their ferocious non-stop eating, nutria will cause a lot of damage in a short period of time. 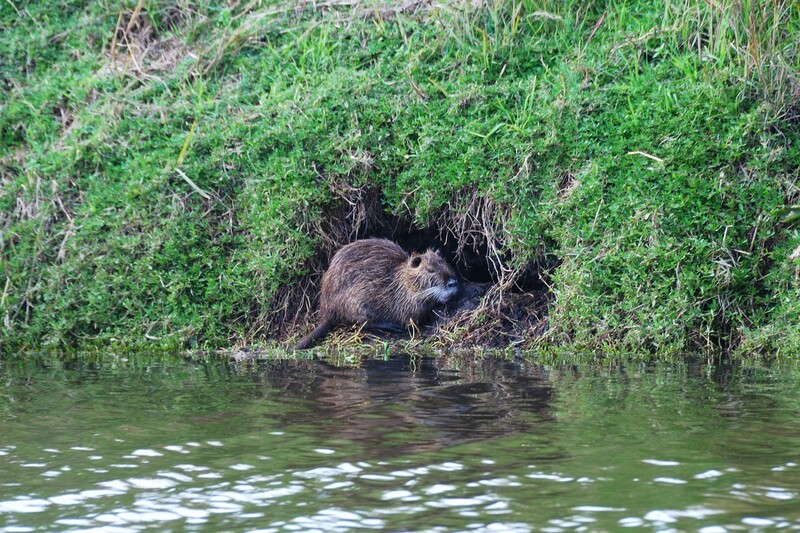 There are three main ways to control local nutria. Your choice should depend more on where the activity is most present and then once your options are clear for that given location, choose a tool or device which you will be comfortable using. 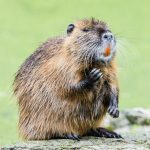 Since nutria have been active in the United States for over half a century, there has been a lot of ways people have tried to control local populations that have become a nuisance. Current methods include repellents, leghold traps, live catch cage traps and kill traps. The author will now discuss these options in greater detail making a point to list which type of device is best suited for any given problem. 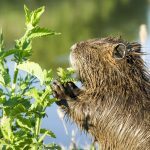 If you have nutria active on property adjacent to yours and they are foraging onto your land in search of plants to eat or trees to girdle, you might consider applying some repellents. These are products which tend to work best when nutria have good food supplies and are not desperately seeking something to eat. Nutria girdling tree bark can be stopped with 4-THE-BIRDS LIQUID. This product was originally created for use on tree limbs and window ledges where nuisance birds like to roost. Its essentially a non-drying glue which will readily stop any animal from messing with treated surfaces. Make your application from the ground up to at least 3 feet high to protect desirable trees. Most applications will last 6-12 months during which time nutria will be forced to find some other tree to girdle. 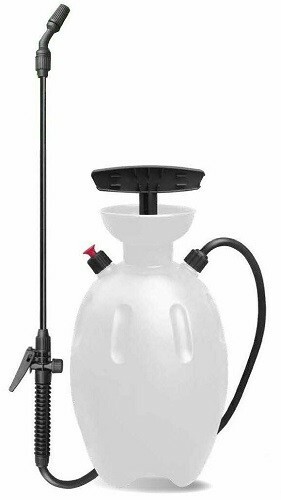 Applications can be made with a paint brush or if you have a lot of trees to treat, use one of our PUMP SPRAYERS. 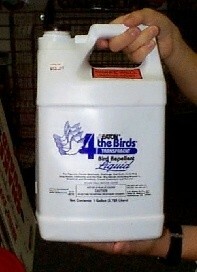 4-The-Birds Liquid is designed to be loose enough to spray and if you need to treat a lot of trees, using a sprayer will save a lot of time. Another option which is highly effective and works immediately is our SOUND REPELLER. By default, this device sends out ultra sound sounds nutria do not like. They will avoid the protected area so units can protect trees or garden plants but can also chase away unwanted nutria from the yard. Our unit will protect up to 5,000 sq/ft, can be configured to operate at night only, day only or around the clock. It can be powered by 4 “C” cell batteries or by AC power using the included power supply. 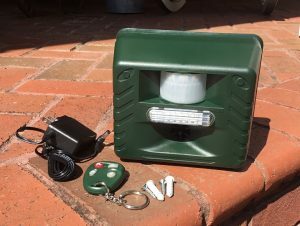 For nutria, the best setting is to have the unit set to go off at “night”, for the trigger to be activated by “motion” and to dial up the motion detector to 30. This means the unit will activate when animals get within 40 feet of the sensor. When activated, it will send out an ultra sound nutria find disturbing but it will also flash its light bar which is scary to them. There is an optional “audible” sound which should be used for nutria too. Set this to at least “40 db” but higher if possible. It can get super loud and this audible sound will also spook nutria so use it when possible. If the local population is simply too large for any of the repellents to be effective or the area which needs to be protected is just too big, the use of traps might be needed. There are several types of traps which are very effective on nutria and they can be utilized many different ways. Nutria are easy to catch in snares, leghold , kill and live traps. You first need to determine which type of trap you would be comfortable using and then match it to the type of area where you would making the set. Most can be used for a wide range of applications so the real decision is making up your mind as to which style you are most comfortable using. 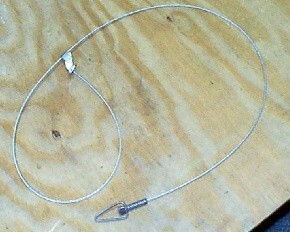 SNARES are basically wire cables which have a one way locking cam on one end and a mounting loop on the other. The cam end has a opening which can be adjusted and should be set to a size dependent on the target animal and the set location. The looped end is then mounted on something which will serve as an anchor so the snared animal cannot drag it away. Nutria can get quite strong so the anchor must be something permanent. Forget stakes or small rocks; a thick tree or several cinder blocks might suffice. Snare sets can be made just about anywhere. 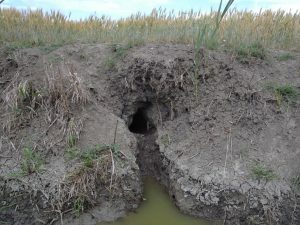 Good snare locations include the styrofoam holes nutria will create under floating decks or wharves, along trails they use at night, at fence line openings which nutria are using to pass through, at den openings, at culvert pass entrances, between two natural obstructions like some logs where nutria are funneling and just about anywhere activity is noted. Snares are very effective when the person using them knows how to make a set. However, they can be tricky to learn how to use so if you are new to this tactic, it is best to set a lot of them over a large area. This will serve to increase the odds that you will be successful at snaring and it will also help in that more then one or two animals can get caught at the same time. Don’t be afraid to set out several dozen if you have a pack of 10 or more active. On a side note; be careful of snared nutria. They will become quite nasty when snared and since this is a live trap of sorts, you must be prepared to deal with the animal once caught. Your choices are generally to either destroy or relocate the animal. However, relocating could be a hazard since nutria have sharp claws and are so feisty so a holding cage will be needed during transit. Another type of live trap which works well for nutria are leghold traps. There are two kinds which have been used for them over the years and both have been quite effective. Either Long Spring or Coil Spring leghold traps will work for most applications. If you prefer to get Long Springs, go with LS # 11 or LS # 2. Coil traps are easier to work with and more common. 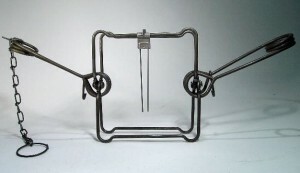 The popular size coil trap for nutria include the CS # 1.75 and CS # 2 . When using leghold traps, you’ll need to set them where nutria are active. This can be along trails, on drag lines, where nutria are entering water or where they are actively girdling trees. The Long Spring #11 has a 4″ wide jaw when set making it well suite for most any sized nutria. If you suspect you have large nutria, the #2 Long Spring has a 5″ jaw spread. 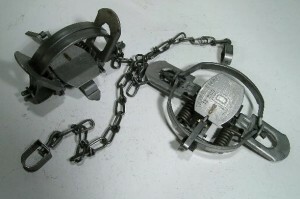 Although long spring traps have caught more animals than other designs, the coil trap is a bit easier to operate and takes up less space afield. The Coil 1.75 has a jaw width of 4.75″ and is ideal for most any nutria you’d encounter afield. The Coil #2 jaw width is 5″ when set apart. A good way to use these traps is to make a bait placements alongside trails where nutria are thought to be active. Nutria love corn and all you have to do is place some corn out a few nights in a row to get them used to finding food at a certain location. Once found, they will expect to find more each day. After a day or two of prebaiting and confirming that nutria are finding it during the night (look for the webbed foot prints), set out more along with Long Spring or Coil traps. Like snares, you will need to anchor the traps to insure trapped nutria don’t drag everything away. You will have to be prepared to deal with the trapped animal as well since both will be catching nutria alive. If you don’t want to deal with handling nutria which have been leg trapped, use a live cage. These are easy to use and the big benefit of their use is that trapped animals are already contained making for easy relocation and removal. These traps are also a favorite when trapping around water because you can make sets on floating docks and even rafts. In fact, one of the more common ways to trap nutria is to make a raft out of some wood and styrofoam as large as you can handle. A standard 4′ x 8′ sheet of plywood is a good size to start with and can hold several live traps. Next, set the raft out with some corn for a few nights and once you know the nutria are accessing it and feeding, you can make your sets. The good thing about this type of set is that it does a good job of targeting nutria. When live trapping on land, you can end up catching other animals like raccoon or armadillo. However, traps set on rafts do a good job of catching only nutria. One thing you must do is be sure and anchor the traps to the wood so they don’t fall in the water. Also, anchoring the raft is usually recommended as well so you can easily retrieve it. There are several sized traps that can work for nutria with different options. This means one style may be better suited for a particular set given location or the general size of the animals. For most any size nutria, our LT111230 will work well. 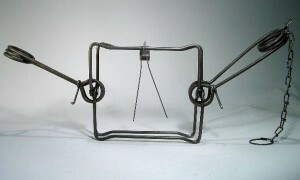 Itss available with the sliding rear release door which is a big help for both baiting the trap and for animal release. If trapping on a raft, this design is a favorite because you can fit several of them onboard at one time. This trap measures 11″ wide by 12″ tall by 30″ long. If you have large animals in the 25 lb plus size bracket, you will be better served with the LT111236 or the LT111236RD. These are longer then the LT111230 and should be used when large nutria are abundant. The general rule when using any type of live trap is that the bigger the trap, the faster the target animal will enter and the less trap shy they will be. Use basic canned corn as the food lure or bait when making live trap sets. Place at least 1/2 of the can partially on but mostly behind the trip pan of the trap. Be sure to scatter at least 1/2 lb by the opening of the trap and then another 1/2 lb inside the trap before the trip pan. This extra bait will help direct the nutria into the trap that much faster. If you don’t want to live trap nutria, use a kill trap. These are quite effective taking only a few moments to kill nutria once they enter a set. The traps are basically steel squares which are forced apart by strong springs which are held in place by a locking mechanism. This mechanism will release the springs when target animals enter and trip the trigger. The release enables the two squares to flip shut. So strong are the springs that they will generally crush and suffocate anything which is small enough to stick its’ head into the trap. 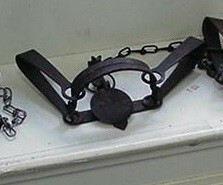 These traps are called Bodygrip Traps and are widely used for beaver, muskrat, mink and other animals. For nutria, the most popular sizes deployed are the BG # 220, BG #280 and the BG # 330. No pre baiting or lure is needed with these; all you have to do is find a good location to make a set like in front of their den. Just be sure to get a trap which is big enough for the active nutria (which is usually the width of the den hole). 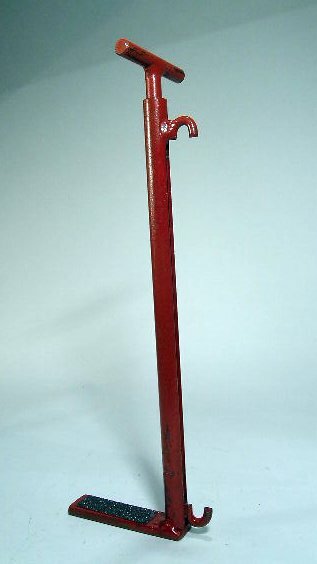 The most popular size is the 220 which measures 7″ wide by 7″ tall. The 280 trap is 8.5″ wide by 8.5″ tall. In rare cases, the 330 trap may be needed. It measures 10″ by 10″. Sets with Bodygrip traps can be made at den entrances, along trails where nutria are passing through fences or where natural obstructions force them to wedge between narrow spaces. To help create the perfect set, use a trap stand. 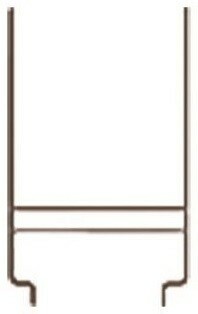 The easiest one to employ is the simple 18″ REBAR STAKE STAND. 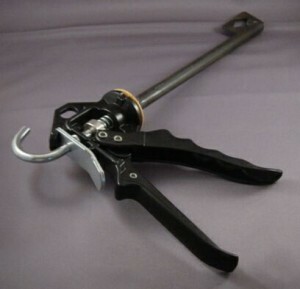 This has simple holding mechanism on top which can handle a 220, 280 or 330. The stake gets driven into the ground to the set will be secure. Another trap stand to consider is the more traditional METAL STAKE STAND. These measure 13″ long and 220, 280 or 330 trap are placed over the long stakes which serve as handles so the trap can be set under water. The short stakes are driven into the ground to anchor the set. Use this setup when you know where nutria are foraging on trails cut into river bottoms or stream beds. Lastly, consider a good pair of trap setters. 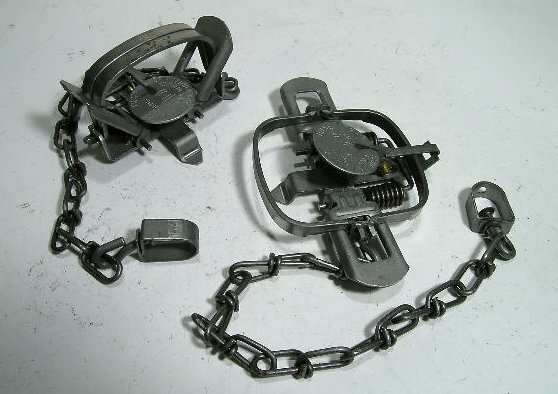 These are tools which basically “squeeze” the springs of these traps together so you can make your set. All three require strong hands to make a set and the setters will let you do so with little effort since they help provide much needed leverage. The BASIC SETTERS. use a scissor design that is tried and true. The DELUXE SETTERS provide a more stable setup when compressing the springs and for some users, easier to control. For anyone wanting the “Cadillac” of setters, go with the ROBBIES DESIGN. This tool is like working a caulking guy. It will safely hold the springs in place so you can latch the safety clips and make your sets in no time. Nutria are a big problem in many regions of the United States. If you have some active on your property, they might be eating certain plants, digging up your yard or causing damage to integrated water control systems. Don’t let them get out of control. To do this, you need to keep local populations in check by trapping. Choose a trap design you are comfortable using and remove excessive numbers as needed throughout the year. By watching and monitoring local populations, you should be able to keep them minimized so the damage they cause is not overwhelming.